I have to say after the few years I have been in Empower Network nothing is as impressive as the new Kalatu Premium Blogging System. In todays post I will be giving you some of the features and benefits of this system. 1. Headline Generator – Are you having problems coming up with a catchy headline for your blog post or website? No need to worry about this any more as Kalatu now has a headline generator feature, all you need to do is pick a subject and Kalatu will give you a list of ideas or ready made headlines. Leaving your title standing out above the rest when you post them on the social networks. 2. Content Ideas Generator – Wondering what to actually blog about or what kind of content to create for your blog? That is where the content ideas generator comes in handy just click on the give me an idea button. And a world of blogging tips and ideas will open up to you. 3. 21 Day Blogging Plugin – This makes it even easier if you are beginner or already an advanced blogger the 21 day blogging plugin will make your life extremely easy all you do is just click on the plugin and fill in the blanks and your blog post was done. The days of making excuses about how or what to blog about are finally at an end with this new plugin and Kalatu Blogging System. 4. Extremely Fast Hosting – When it comes to ranking on Google you lose or gain points if your hosting is fast or slow. With a baseline shared hosting account for $100 a year with hostgator or hostmonster will be a lot slower than the hosting on your Kalatu Blog. So if you want brownie points for fast hosting with Google You can get a dedicated server for $500 a month or just get a kalatu blog for $25? The choice is entirely yours. 5. 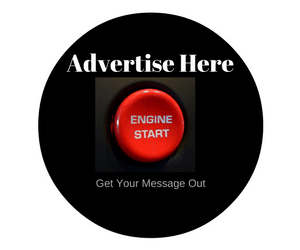 Customised follow me and business opportunity link section – Once again another cool feature you will get on your Kalatu Blogging System. 9. Social Media Feed On Your Blog – This is a completely awesome feature normally social networks redirect you back to them, That means if you are selling a product or service on your blog when you go to their social network link there is a huge chance of you losing the sale. With your Social Media Feed on Blog Button your followers can stay on your blog while reading all your social media updates on Facebook,Twitter, Linked In And You Tube. 10. 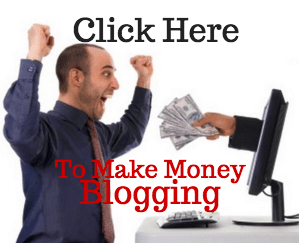 With the Kalatu Viral Blogging System Affilliate Programme you also get lots of squeeze pages which you can use to build up a list of subscribers. The great thing is these are now available in different languages and are constantly being tested and updated so you can improve your conversions. 12. With Kalatu you also have the opportunity to earn high ticket commissions this means that when just one new person joins your business, you could potentially earn a $3000 commission. What would you think of a business where you could sign up one person a month and make $3000 in a month. It suits me fine 🙂 No more trying to sell 30 products a month to make $1000 in commissions for me. 13. When you buy the Kalatu Premium Package you get up to ten Kalatu Blogs which is great value for money. Why not transfer your blogs or website/website’s onto Kalatu and save a fortune in hosting fees in the process? 14. You can use your own domain name with Kalatu too. Easy to follow instruction videos are provided takes about 5 to 10 mins.